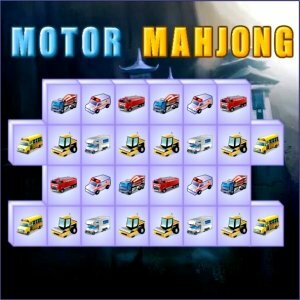 Motor Mahjong' is based on the classic Chinese game. The goal is to remove all blocks from the board. 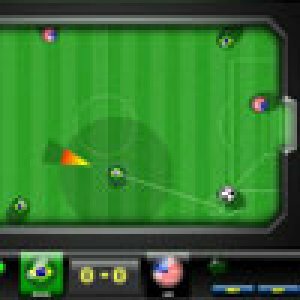 Playing this game is very easy and fun. You can remove only paired free blocks. The block is free when at least two neighboring sides of it are free, i.e. they have no neighbors on at least two adjacent sides. Combine matching pieces with Food items. There is also the possibility to re-shuffle the pieces if there are no moves left, and a number of hints you can use. Also there is the bomb power-up which can remove any tile pair. Bei WasZumSpielen.de findest du viele tolle Mahjong Spiele. die du kostenlos spielen kannst. Motor Mahjong ist ein klassisches online Mahjong Spiele das du direkt in deinem Browser ohne Anmeldung spiele kannst. Hat dir das Spiel Motor Mahjong gefallen? Dann schreibe ein Kommentar was dir gefallen und gib deine Bewertung ab. So wissen auch andere ob es sich lohnt Motor Mahjong zu spielen. Wir suchen für dich in der Zwischenzeit ähnlichen Games, damit du immer einen Nachschub an Mahjong Spiele hast.